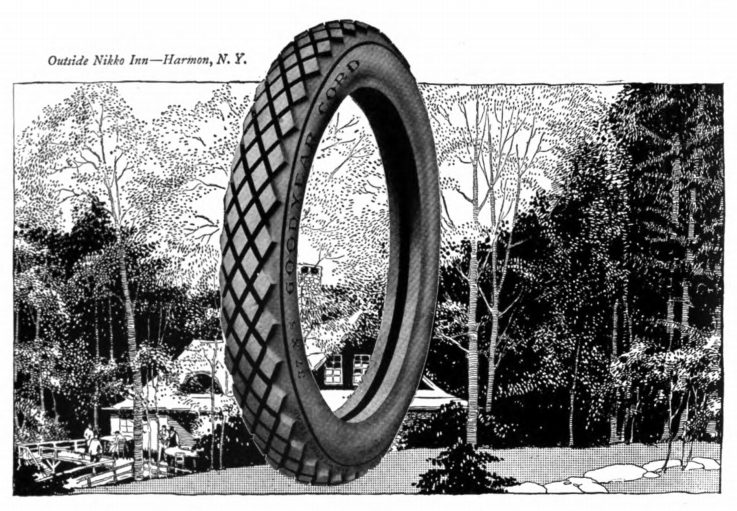 One of two versions of a 1917 Goodyear tire ad featuring the Nikko Inn. Click the image to enlarge it. Who was the marketing genius behind this bit of Jazz Age cross-promotion? 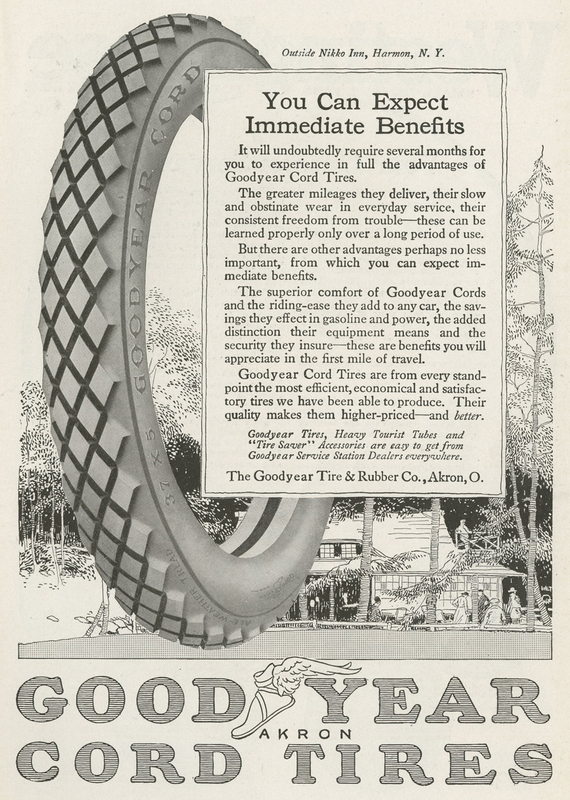 The 1917 ads for Goodyear Cord Tires appeared in magazines ranging from the Atlantic Monthly and The New Country Life to Travel and Forest & Stream . Both feature detailed pen-and-ink drawings of Nikko Inn in the background, suggesting the perfect place you could visit “in superior comfort,” driving your Goodyear Cord Tire-equipped car. For other posts about the Nikko Inn, click here. Detail of Nikko Inn from the ad above. Click the image to enlarge it. A different version of the ad from the June, 1917 issue of Travel magazine. Next Post Underhill Bible—on eBay!